MONSANTO’S VENTURE CAPITAL ARM (MGV) MAKES FIRST DIRECT INVESTMENT IN BRAZIL. GRAO DIRETO ANNOUNCED A $2,3 MILLION BRL INVESTMENT FROM MGV, CANARY AND OPENVC FOUNDERS. 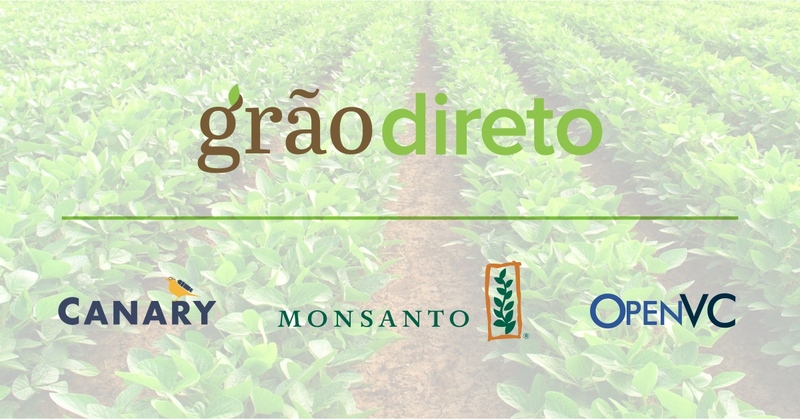 Monsanto Growth Ventures (MGV), together with Canary and the creators of OpenVC fund, will invest more than R$ 2.3 million in the development and growth of Grão Direto, a startup located in Uberaba (MG), in Brazil, and conceiver of a platform that digitizes the grain origination process. This is the first time a Brazilian startup is receiving a direct investment from MGV, which has been investing in startup companies since 2011. Grão Direto offers a web platform for computers and smartphone applications, which helps farmers and buyers find the best deals with much more efficiency and security. “Farmers, already so used to technology in their daily routine on the farm, can now also take advantage of the benefits of technology for their sales. We have made negotiation process easier between farmers and the buyers, bringing much more information and integration to support both sides,” explains Alexandre Borges, CEO of Grão Direto. Borges says that Grão Direto’s advantage is creating a more agile, practical and secure process for grain sales, currently done over the phone. “Buyers currently contact farmers by telephone to trade grain. This process takes a lot of time and money. At Grão Direto, buyers and sellers with greater potential to do business are connected through the system and can directly negotiate their prices, delivery conditions, deadlines and any other important aspects for closing. The negotiation can be securely done through the system,” Borges explains. The application has existed for just over a year and a half and has more than 1,300 grain producers registered. These producers are spread across more than 250 municipalities in the Triângulo Mineiro (Western region of Minas Gerais), Northwest of Minas Gerais and Southern of Goiás. On the buyer side, more than 70 companies have used the platform for their negotiations, including cooperatives, trading companies, feed factories and brokers. Grão Direto intends to use the investment to accelerate the development of its products and services even further, and to establish partnerships with other technology and logistics companies, financial institutions and fintechs to make the grain chain more digital. The resources will also be used to expand the area of operation into the main grain producing and purchasing regions of the country, which will require more manpower. “Over the coming months, our intention is to greatly increase the team by hiring new people for all areas of the company,” says Borges. In addition to Monsanto Growth Ventures, Grão Direto is also receiving investments from the creators of the OpenVC fund and of Canary, which concentrates its investments in startups that are in the phase between seed investment and the first Series A round. “The agrotech market has been growing a lot in Brazil and we are closely watching startups and entrepreneurs with the potential to take off in this segment,” said Marcos Toledo, co-founder of Canary. For OpenVC, the focus is to innovate when buying and selling grain. “We are quite confident in Grão Direto team’s capacity to transform the grain marketing chain in Brazil,” says OpenVC co-founder, Mauro Muratório Not. 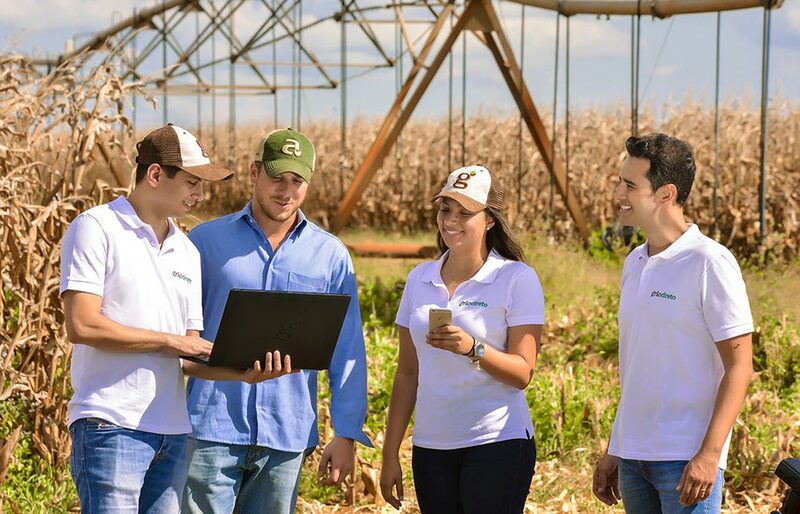 Grão Direto was founded in 2016 in Uberaba (MG), with the purpose of digitizing the agricultural commodity chain, helping farmers and buyers to market in a more efficient, safe, modern way and generating much more integration for the entire market. Grão Direto was the winner of the Startup Farm acceleration program, finalist of Inovativa Brazil and is one of the startups associated to ESALQTEC. In addition to supporting the marketing, the company provides unique information on the physical grain market, customized reports, news and also marketing actions. Grão Direto was founded by four partners with academic excellence (FGV, USP, UNICAMP AND FAZU), international experience and experience in key segments for the business: agribusiness, technology, management and entrepreneurship. In 2011, Monsanto created a venture capital arm focused on financing and partnering with early stage companies around the world. Monsanto Growth Ventures is Monsanto's venture capital group and works with other investors to support small business teams such as Grão Direto, which are developing innovative tools and services for agriculture globally. OpenVC is an investment fund whose mission is to globally leverage Latin American B2B startups and open the market to Israeli companies wishing to operate in Latin America. OpenVC was born with the experience of executives that have made history in the Brazilian technology market, the partners: Mauro Muratório Not, who founded the operation of Microsoft Brazil and commanded the subsidiary for over 10 years; Osvaldo Barbosa de Oliveira, who led the Internet area at Microsoft Brazil and was CEO of LinkedIn LATAM, William Kern, who was COO of Neoway, CEO of Interfile and managed the Windows and division operations at Microsoft Brazil; and Ricardo Coelho Duarte, M&A executive, who served as advisor to companies such as Neoway, Avante and Magnamed. Founded in January 2017, Canary, a pre-series A investment fund, was born with the aim of boosting the Brazilian ecosystem of startups. Since it began operations, it has raised $ 50 million and invested in more than 25 projects. The fund counts on the participation of a network of 50 entrepreneurs known by startups of great success as Instagram, Nubank, VivaReal, GuiaBolso and 99, among others”.